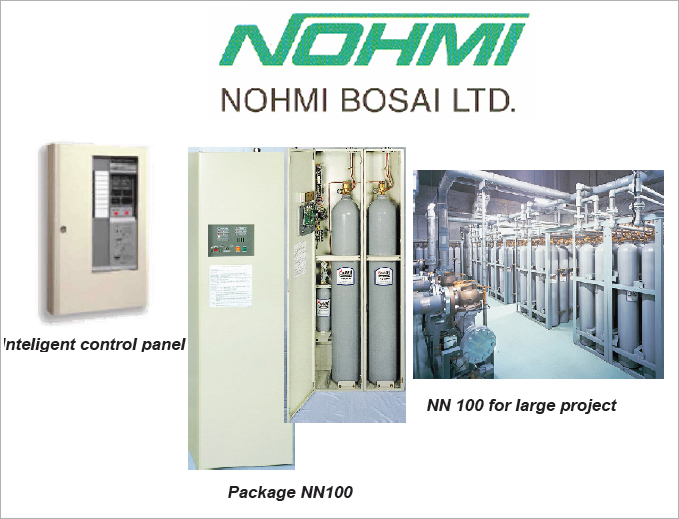 • Natural Extinguishing by using Nitrogen gas which is considered the optimum extinguishing agent. The N2 is the best inert gas for the extinguishing characteristics after CO2 , but without adverse effect either on the environment or on the human life . • Residential fire protection and emergency alarm systems that provide safer living. • Survey of properties to be protected, analysis of their fire risks, and proposals for optimum fire protection systems. • Consistent responsibility setup for all works ranging from basic research, development, manufacturing, planning, installation and to maintenance .